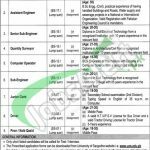 Here the latest opportunity is before you from University College of Engineering & Technology Sargodha Jobs 2018 uos.edu.pk. Applications are being offered from University College of Engineering and Technology, University of Sargodha intends to appoint the well disciplined, caliber and adroit applicants are required for the Non-Teaching Staff positions which are named as (Executive Engineer/Senior Engineer, Assistant Engineer, Senior Sub Engineer, Quantity Surveyor, Computer Operator, Sub Engineer, Junior Clerk, Driver and Peon/Naib Qasid) are the posts which needs to be filled by the applicants who possess the BS.c (Engineering), Diploma in Civil Engineering, Civil Electrical Technology, Matric and Middle qualification from well recognized university with relevant expertise are required to apply for such posts. Age limits are different for each post. Appointment of the following posts will be made on project basis for the period of 2 years. Applicants will be given lump sump attractive remuneration package with growth offers and brilliant working atmosphere. Now, I will let you know about it's further details below. University College of Engineering & Technology Sargodha, University of Sargodha is the Govt university which is providing quality education in number of the disciplines of Engineering and Technology and is having the official site as www.uos.edu.pk in which one can have all the information regarding the university. Being a Govt body it offers Govt jobs of different levels. 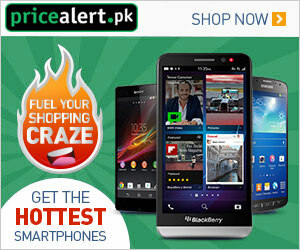 Application forms can be downloaded from the UOS Site as www.uos.edu.pk. Applicants needs to pay the bank deposit slip of Rs.500/ for Sr No,01 to Sr No, 04 and Rs.300/ for rest of the posts should be paid under Head of Account "University Collection in HBL Bank. Duly filled form with paid deposit slip, CV and attested copies of testimonials should reach at the said address. Last date for applying is 26th December 2017. Address: Additional Registrar, University of Sargodha, Sargodha.